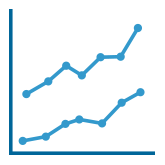 Join the growing community of organizations using ShareProgress tools to reach a wider audience online. Sign up today for our 30-day free trial. Reaching a wider audience is tough. But your supporters already have a large social network of friends and family right at their fingertips. With ShareProgress tools, you can activate the people who already support your organization to reach out to their networks and spread the word about your causes and campaigns. 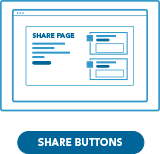 Our share pages and share buttons are designed and optimized to turn your supporters into social recruiters. Our A/B testing tool allows you to test and measure the effectiveness of your outreach messaging. Our algorithm automatically directs traffic to that best-performing message as soon as your supporters start sharing. That means as soon as we know which message works best, more of your audience will see it. 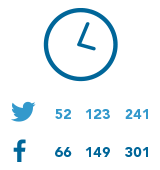 Track the results of your social sharing with our real-time analytics. Our intuitive dashboard makes it easy to find which language works best to recruit new supporters, which social platform has received the most shares, and which campaigns have gone viral. Through our platform, measure the return-on-investment (ROI) of your social sharing and find where you can improve your digital program. We offer subscription plans for organizations of all sizes. To find which is right for you, start your free 30-day trial today!